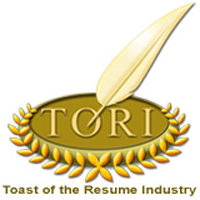 It’s that time again when CDI announces the nominations for our Toast of the Resume Industry (TORI) resume writing award competition. In its 19th year, the TORIs are an international competition in which professional resume writers submit their best resume writing work in a specific category. Nominees and winners are selected by two separate panels or judges (former award winners and/or individuals with elite master-level credentials) who review entries blind (no writer identification). According to the 2018 judges, this year proved the most difficult yet with such top notch entries across the board. The TORIs are recognized as a coveted industry accolade as they produce such intense ROI for both nominees and winners.